Black and white photograph depicting artist Vincenzo Poggi working at his desk in front of a window at his studio in Montreal, Quebec. 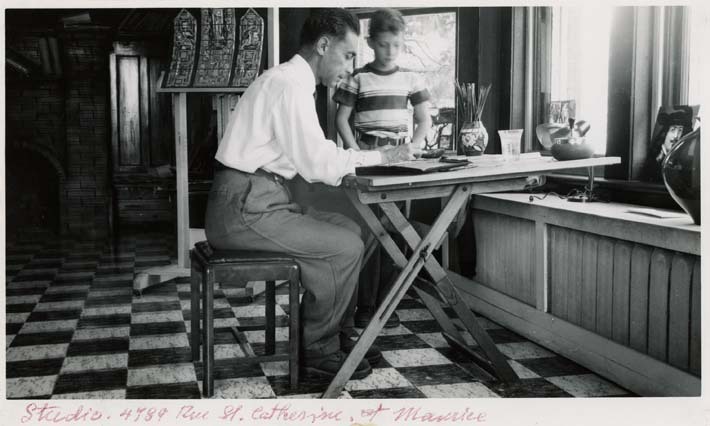 His young son Maurice Poggi is standing beside his father observing him work. In the left background a model for a stained glass window is visible sitting on an easel.